Hello We Date Nerds readers (who mostly consist of blackmailed family members), thanks for taking a few minutes out of your day to learn the secret language and inner workings of nerds. You can learn a little bit more about why we decided to start this little blog in our ABOUT section. Before we get started we wanted to give you brief bios on ourselves so you know we are legit (we promise that each post will not be this long). 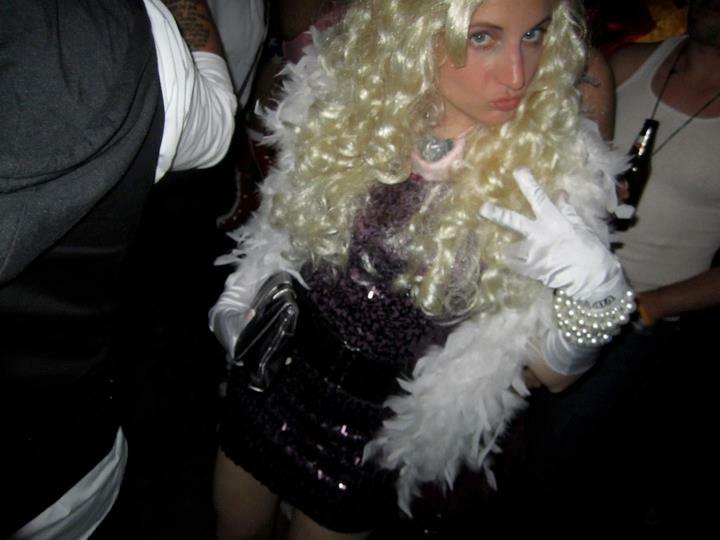 My name is Liz, and this is my costume from last Halloween. It’s hard to tell without the nose but I’m the ever so glamorous Miss Piggy. I’m your average 20-something girl. I went to San Diego State (GO AZTECS!) where I played Women’s Lacrosse, mastered the art of flip cup and attended 1-2 football games in my entire 4 years. Now I live in LA and am some sort of “marketing professional”. I have also considered myself somewhat of a “secret nerd” during high school where being a nerd could ruin your entire life. In college I was able to open the door on that secret a little more, so much so that one of my former lacrosse teammates even nicknamed me “Jedi”. But my true nerd knowledge was nothing until I starting seeing my current boyfriend who I will from now on refer to as, Cyclops (from X-Men fame). 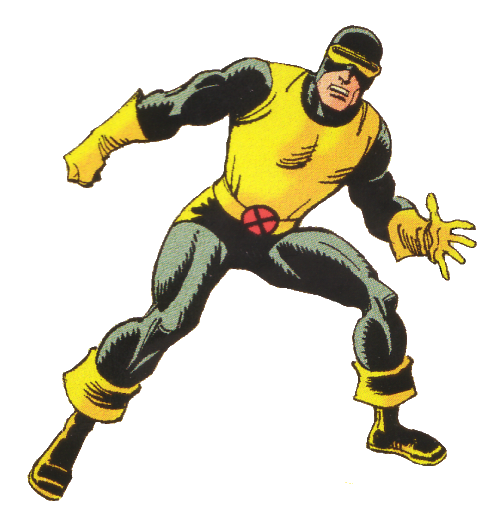 I have chosen Cyclops as the pseudonym for my boyfriend because he is a little bit obsessed with him. NERD ALERT: I knew enough to ask him what era Cyclops he wanted as his photo for this site. Before we started dating I pretty much knew of Cyclops via his portrayal by James Marsden in the loved/hated X-Men trilogy. From what I understand about Cyclops the character is that he’s very brooding and kind of a jerk especially in all of his romantic relationships. This fact should probably worry me considering how much my boyfriend relates to him but I’m not going to dwell too much on that. I choose to use it as fodder for this blog, so enjoy! The idea for this blog literally popped into my head after a few glasses of wine with Ashley while we were tuning out yet another nerdy conversation between our boyfriends. I felt that I had to share my nerd experiences and knowledge with the world and what better partner in crime than Ashley. Pingback: Happy Birthday to Us! We Date Nerds Turns 1! | Kinkementary Geek Dating | Online Dating for Nerds | Seek a Geek| best free geek dating site?